Yes, we know we are an Irish Bar, we know you are in Greece. 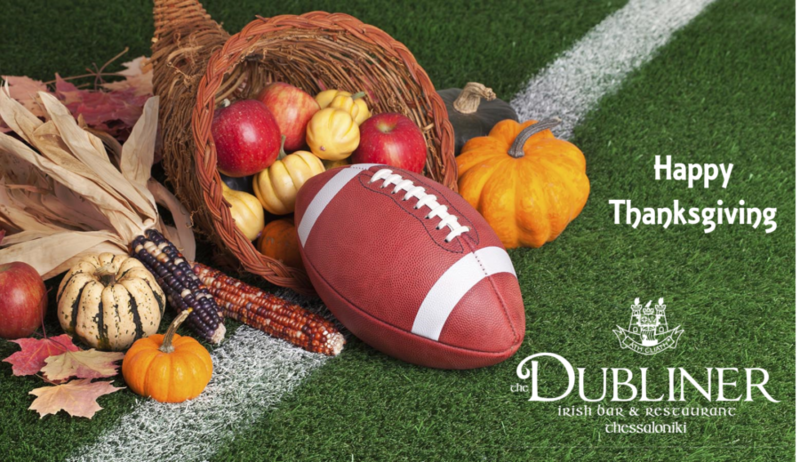 However, why not join us to celebrate Thanksgiving. Any Americans working, studying or just visiting the city and missing home? 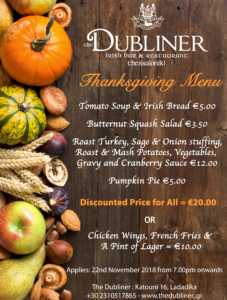 Come into us on Thursday for a traditional thanksgiving meal and an Irish welcome.